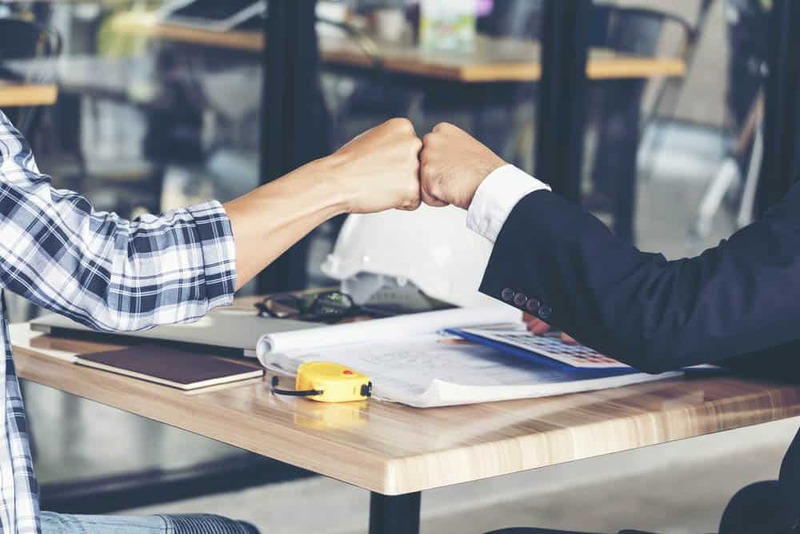 From being under millions of debt to resurfacing back with a coaching business inspired by Og Mandino called the Og Mandino Leadership Institute, Dave Blanchard shows how nothing could get in the way if you’re willing to help other people. Dave takes us into his life story and helps inspire people to become their best selves through his programs. He believes in identifying the habits of people through a habit finder to further enhance and help them in their lives. 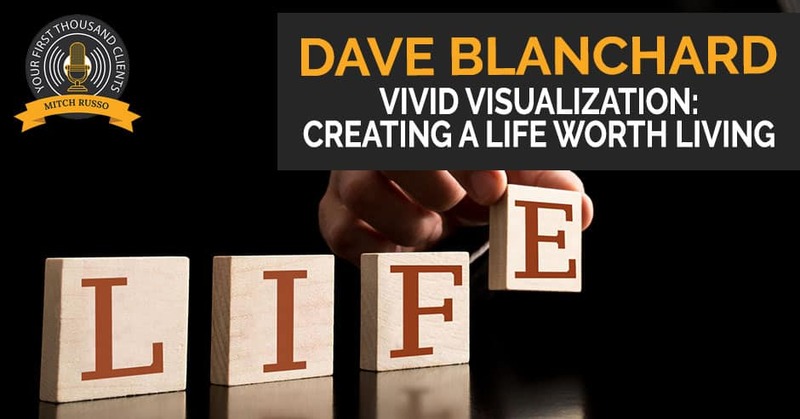 Touching on the importance of vivid visualization and intrinsic validation as well as unhealthy habits of thinking, Dave shows how we can effectively create a life that is really worth living. My guest is very special. I would actually consider him one of the foundational pillars of the modern coaching consulting in the business growth industry. As a leader and author of several books, he set out to help as many people as he could. Then in a moment of synchronicity, he received a phone call out of the blue with an offer to the film rights to a classic book by the famous Og Mandino, The Greatest Salesman in the World. After that phone call, he created a new company focused on bringing Og’s principles into the 21st century as the Og Mandino Leadership Institute, and we have him here. Welcome, Dave Blanchard. Thank you, Mitch. I need a copy of that. That was wonderful. I hear that every so often. I’m glad that you enjoyed this thing. It’s a little bit of my favorite time to do a little creative writing for every one of my guests. The readers know that I sometimes overdo it a bit, but in your case, every word I said is absolutely true. It’s such a joy to have you here and learn more about you as a person and the incredible work that you’re doing. Like we always do when we start an interview like this, we’d like to go back to the beginning. Dave, tell us a little bit about that time in your life, what you were doing, what it was like to receive that call and everything leading up to that and from there. Tell us about how all that happened. There’s always an ending when there’s a beginning. I was in California. I’d started working with physicians. They ended up becoming clients in real estate development. We were building 100-unit apartment complexes and I retired. I had a Ferrari, a beautiful home, a housekeeper, a gardener, the whole works. In 1989, the world fell apart at least in California. Millions of dollars went through our fingers like water and when it was all done, I owed $1 million. I was the corporate guarantor, so I was facing $1 million and going, “My goodness.” I’ve been doing these films on child abuse prevention that are on every military base in the world, teenage drinking and driving that aired on television. I went, “How about if I just go do that for a living?” The next ten years I went into the film business and enjoyed some amazing times. I was able to pay back that debt. It was two years in and our educational films stopped selling. The Waters bill were repealed in California, the funding went away. It was a dark night of the soul. Million dollars of debt, million dollars life insurance policy that was about ready to lapse. The next morning when the sun came up I said, “I longed to cry to the God of my youth, but the God of my youth will not hear my cry. I must change my God or change my cry.” Of course, I found out it was my cry that needed to be changed. I made a commitment that day and I said to God, “If you’ll show me how to dig out of this, I will spend the rest of my life helping other people to do so.” The next seven years were an incredible thorough life experience. I paid off the last $14,000 of that $1 million in 2000. It was the same year that Bette called me. I was in New York City standing in the cancellation line of the Lion King with our film crew. We finished early that day so I took them all to stand in cancellation line to see if we could get in. Bette called me and said, “Dave, the rights to The Greatest Salesman are not being renewed and I wanted to call you first.” I said, “Bette, is this a rhetorical question?” She said, “No, I want you to consider this.” I said, “Done. I’ll come home. I’ll leave the film business. We’ll do this.” We came home and made the decision that before we started the film, we would build a training and coaching program based on the principles of the Ten Scrolls. That’s a story in and of itself. We began that building process. Eighteen years later, on March of 2017, we got funding to do the movie. I just got back from Israel. Two weeks in Israel in a cultural immersion, getting prepared because they’ve asked me. It’s been twenty years since I’ve written a featured film script. The last one I did was for one of Og Mandino’s books. That’s how I met Bette and they’ve asked me to write it. I just got back, and you can only experience in person the texture, the feeling of that part of the world. Now, it’s time to write the feature film script and take the Greatest Salesman to the big screen. We were so excited that this was finally going to happen. You’re right, it’s very exciting that this is finally going to happen. 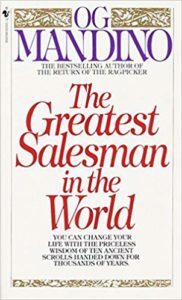 For readers who don’t know this book, The Greatest Salesman in the World, this book was among the first three books I’ve ever read on salesmanship in business. It’s been on my bookshelf for over 30 years and it is foundational for any person who sells to get this book and read it. It’s a simple book. It’s a quick read, but it’s so filled with wisdom. I believe ancient knowledge in a sense that it’s worth reading over and over again. Obviously, you felt the same way, which is why you decided to build this entire coaching program and training institute around it. I found Og in the middle of my dark night. I remember the first time I read those ten scrolls. I said, “He has the same teacher.” That was my initial reaction. This is like putting on an old shoe. He’s like an old friend. I thought, “This is so powerful.” When Bette called and asked, the responsibility almost took my breath away. I believe that all paths lead to the same place. Sometimes we do travel down those roads that seem familiar, which makes them even easier to traverse and is the part of life that I love. At this age, I have found that life is circular. I find myself happily relearning many of the lessons that I learned as a young man, maybe from a perspective of age and wisdom. Maybe from a perspective of rediscovering a different part of that same beautiful knowledge to help me live my life in a different way and in a better way. Dave, here you are at this point in your life. I want to go back to that moment when you decided to build this coaching program and you decided to launch this course. Tell us the mechanics of all that. What actually happened? I listened to your interview with Michael Zipursky and he was talking about the persistence, the struggle. When Bette said this to me, I came back and the very first thing I said was, “We need to hire three of the very best people on the planet to write the curriculum.” I have just been through this very thorough training process. They did and we spent a lot of money doing that. In three years, we sold $53,000 worth of that product. I just paid off $1 million in debt and we drained the bank account again. It was like, “I didn’t go through this to get here, what am I supposed to do?” Then it hit like a ton of bricks. You’re supposed to write it. I’m saying this for those who are doubting their own life experiences. When you read the books that have been written, the practice that has been written and you go, “This is really a powerful material,” at that moment in time I didn’t see my life story and the lessons that I learned as being that profound. It’s when we started writing the material that it started coming out and I was going, “I am supposed to do this.” That’s not an egotistical statement. It was three years of absolutely living in the desert when Og says, “Where dry desert ends, green grass grows,” but you’ve got to persist to get there. It was three years in and we hardly had any clients. The first 50 coaches we had trained had left us and we were starting all over again, three years into the process. This is a story that illustrates what it takes to be successful. You know the FedEx story. You know that Fred Smith got a C on his final term paper, his Master’s thesis I believe. He went back to his professor and said, “Why did you give me a C minus on this paper?” The professor said, “You didn’t think it through.” The entire purpose of FedEx, Federal Express, was to clear checks faster than the banking system could do it before. His brilliant idea was to load planes with tons of processing equipment and paper then, fly them to a central hub and distribute them to the banks overnight. That was a stupid idea except for the hub concept. That was the brilliance, but it took him all that time to figure it out. It took him getting a C on his paper. We started my first company with a failure as well. It required a complete restart in order to become successful. You were willing to do it. You saw the value. You could have given up, but why didn’t you give up? Why did you decide to stick with it? Ten years earlier I had made this commitment and I had this sense of knowing that this was my life’s mission. There was no question. I knew that seven years after that happened, something incredible was going to happen. I was going to be asked to do something. It came and it was there. At the end of three years, that’s why I was so desperate, “Why are we here when this is so important?” What I didn’t know was in that moment, we went back to the mathematics, formal science of axiological mathematics. It’s Cantor’s Transfinite calculus and we had been using an instrument that we had found to measure habits of thinking, but they had applied it inappropriately. We went back to the very source. Robert Hartman, Hartman Institute, University of Tennessee, read all the original material we could find. I had a dream one night where I saw the holographic mathematical symbol of axiological mathematics. I began to understand it. The next morning I called the axiologist that I had hired and I said, “Has anybody ever done this?” He said, “They never have.” I said, “That’s what we’re going to do,” and we began the process. The key was instead of quitting, you just go into mental creation. You began to consider the possibility. You stay in the creative process. That came, that assessment was developed, and that coaching practicum was developed. We began to sell hundreds of thousands of dollars of coaching. I was coaching clients myself. One of my mentors said, “Make sure you stay in the trenches with the people so you always know where they are.” In 2008, the world had just fallen apart. We had one major client that was generating almost 60% of our income. It was one huge client and they were hurting people. In December, we had to terminate that relationship. After the world fell apart, we started over again. I got an entirely new idea about how to take this material to a deeper level and I’m so glad we did that. We paid a heck of a price in 2009, 2010, 2011 to get there, but are we not in a little bit of a challenge as a society right now? People need to go deeper behind or below personality and tendencies to get to the real habits of thinking that are impacting life with principles, practices and processes that will shift them. The difference between that first training and this new one, day and night. This year we made the next change. We took it even deeper. Like scroll number three says, “I will persist until I succeed.” Dave, you are the example of someone who stuck with it and made it happened. I’m so glad you did. The things that you’ve created now through a combination of your own persistence, your own perseverance and the intelligence you applied to this process is a true gift to humanity. What I’d like to do now is I’d love to hear more about the actual processes that you work with clients directly. I know our readers would love to find out more and maybe even experience some of the brilliance that you have in your coaching and courses. It’s like, how do you know this? It only takes fifteen minutes to take a Habit Finder and they know. We find out where the strengths are, where the challenges are, where those fully charged fire hoses that need to be managed are, so now we know. It allows us on the very first coaching session to be working on very specific targeted changes, either maximizing or changing. Resources, time, energy, absolutely targeted to get the very best possible return on their investments, depending on where they are. I’ll share with you a couple of things that are just standing out after 100,000 of these assessments and tens of thousands of coaching clients. I’ve debriefed 6,500 of these personally and coached 4,000 of these people personally. I want to know where the people are. We’re finding a lot of business, entrepreneurial-minded people and independent thinkers. They are coming to the table with the gift of vivid visualization. I spoke at a university and we did a bunch of assessments. We found that 97% of all the students were coming with this powerful gift. It’s designed for us to get inspired ideas, intuitive impressions and creative solutions that will ignite passion. If I have somebody wired to a functional MRI, we would actually see part of our brain at night that’s normally dormant of a human being when they get that inspiration. It ignites passion, drives action and we create marvelous things, but 98% of those with the gift, use it destructively. We’re seeing this particularly with our Millennials and those that are older who have been given this gift. Vivid Visualization: Vivid visualization is a powerful gift that is designed for us to get inspired ideas, intuitive impressions, and creative solutions that will ignite passion. They go into the future to a time when something’s been accomplished and then they start to imagine what it will be like after that. They start playing out vivid scenarios. This thought is so powerful, they began to create a new reality in their mind. Norepinephrine courses through their body, and this is a euphoric feeling. It’s so real to the mind that the first time reality shows up differently, which should always will, they go into an autonomic response. That’s more than automatic. The autonomic response fuels cortisol surges in the body to heal wounds and speed up metabolism. It triggers the amygdala, the fight or flight center in the brain. It starts shutting down energy-rich parts of the brain like the prefrontal cortex; empathy, practical judgment, common sense, rendering a person emotionally paralyzed. Their expectations aren’t met. They are going to hate their life because there’s nothing about their life that’s stacking up to the realities they’ve created in their mind. They hate their life that they turn in where they start questioning their own worth, their worthiness, their abilities, their character and their contribution. The number one cause today for self-esteem challenges is not a traumatic event, it’s an unmet expectation and it’s killing us as a country. One of the very first things we do is teach someone with this gift on how to use it constructively. To get an inspired idea, ignite that passion, drive that action so that they will start to embrace their own natural gifting, instead of procrastinating. You’re like, “Delay, delay, jump in. Surprise. That wasn’t so hard.” Of course, it wasn’t. You’ve got a genius. Stop delaying. Get them to start embracing their genius and using it. Magically their self-esteem begins to heal because they’re spending time with their true self instead of being burdened by their self-sabotaging internal dialogue. They began to trust their own intuition. They start to become increasingly available to serve others. You start it now to serve. That’s where the joy comes. We get an inspired idea, we connect with someone and we serve them. We take down their walls of resistance, cooperation energy floods out to us. It helps us fill that void in our soul. This is what we do. These are the principles. Sometimes I’m helping someone buy a $750 billion company. I could talk about financial statements, balance sheets and negotiation techniques, but it’s interesting. The most damning thing in a negotiation is someone who’s got an obsessive thought process and they’re playing out worst case scenarios. They can’t sleep because they haven’t learned how to manage this giant fire hose with vivid thought processes that are effortless and obsessive. We’re managing their unhealthy habits of thinking and helping them get through the purchase of something or the transition of a company, whatever it might be. We get to apply it to real life principles. We spend our time at what we call foundational principles. The title they’ve given me in the office is the fiduciary of the foundational. That’s my job. What you just shared with me is something so valuable. It is almost shocking in a way because it’s so counter to almost everything I’ve ever heard. I have a very vivid ability to see pictures in three dimensions. 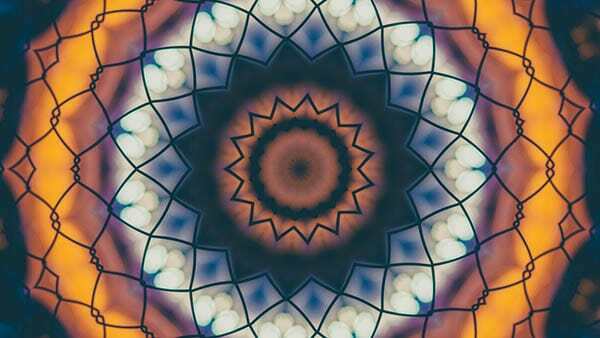 It’s always been one of my gifts to conceptually see everything in three dimensions. When you started talking about this not as a benefit but as a deficit, I realized myself that I have been subject to this as well. All the while I was thinking that this was a creative visualization. In fact, I was heading in the right direction and yet feeling all the things you said. Now readers, do you identify with this or is it just me? This is unbelievable and I now more than ever want to understand even more about how this process works and how to fix it. It’s so critical to life. I have been gifted with the ability to persist until the end. Gifted or stricken with it, I don’t know which it is, but I will persist and I will persist. I may pivot, but I will always persist until I succeed because I know in the past that that has served me well. At the same time, I sometimes suffer along the way. What you shared is so incredibly insightful. I almost don’t know what to say. I love when you said in the Fire Nation interview with John Dumas that you don’t fail until you quit. That’s a wonderful gift and some people create in spite of how they use their gift of vivid visualization. The foundational principle is simply this, most of us with this gift and most entrepreneurial independent thinkers have the gift. We live in our mind and we tolerate reality versus living in the now. Taking the clay we’ve been given, the things that we have, the talents, the skills, etc., and creating the most we can with that. Going into our mind for the specific purpose of getting an inspired idea and intuitive impression or a creative solution and having it ignite our passion. Then using that passion and the clay we’ve been given to create the next millimeter, create it, and celebrate it. The next day, create it, celebrate it, always moving closer to the bigger goal, but finding out that we’re enjoying the journey of creation as much as we think we’re going to enjoy the outcome at the end. Is it not true, Mitch? I know a little bit about you. You don’t hang out with Chet Holmes and Tony Robbins and do the things you’ve done without using this gift. I can promise the readers, there’s a big goal up there. You’re working your way toward it but before you get there, you’ve already moved it out. Before you get to that one, you’ve already moved it up. Isn’t that true? If that’s true of every creator, we’re going to want to be absolutely in love with living presently in the now. That’s our primary residence going into our mind for guidance and enjoying the process of creating on a daily basis. Who can’t benefit from this information? Who can’t benefit from understanding themselves better? This process that you’re describing, I just might get obsessed with it. I’m so excited by this idea because I’ve been there. For all these years, I’ve been able to achieve some pretty amazing things, but I’ve had some pretty darn miserable failures just like most of us have. I now understand more about myself just from what you said than I ever have before. I can’t thank you enough. When you go through this process with another human being and get to show them how you can utilize and harness this power of pre-visualization then, get them to direct it, do you see changes quickly or is it still a struggle for many people? If they will actually do the work of making the change, the change is dramatic. You take a client who’s got maybe $600,000 or $700,000 of income a year. I’m thinking of one in particular, great gift but catastrophizing. His gift is spending so much time worrying. It’s like, “I worry, worry, it didn’t turn out that bad. My joy comes from it not being so bad,” versus enjoying the creative process in getting into the creation and totally freeing himself up to enjoy the present, getting an inspired idea and act on it. He reported to me, he hit $200,000 a month. Once you master your mind, anything is possible. Everything starts as an idea, we know that. You tempted me and I’ve got to push you a little further here. What’s the next step? What I shared with you is the second. Most of us are dragging around shame, guilt, frustration and hurt from those failures we’ve had along the way. It was the reason why we drag them behind us. We want to help people empty that bag they’re dragging. Take that experience and see it for what it is. Anybody else suffering from a similar wound? Then engraved this on your heart and use it as an empathetic resource to hear people differently. We began to learn how to listen, not to respond and not just to understand. We listen to understand so that we can ask an empathetic question born out of our own life experience. From that, we leave the person feeling understood. It’s a great principle. Dr. Hartman proved that a person in a non-adversarial relationship hold back 40% of their energy and productive cooperation until they feel valued as a human being, intrinsically valued. Vivid Visualization: We listen to understand so that we can ask empathetic questions borne out of our own life experiences. A salesperson talking to a potential customer, coworker, manager, CEO. Everybody’s got a wall. Are we focused on stepping into that person’s world and listening, asking empathetic questions until that person feels understood? The wall can come down and the energy can be released and then we can share with them or are we constantly throwing up on people’s wall? The very first thing we teach people is how to intrinsically value. We call it intrinsic validation. Our clients called it IV-ing. I remember a client that I taught this to, his name is Scott Irwin. I have permission to tell you this because he’s in my first book. Scott learned this principle for the first time in a coaching session. He said “Dave, how many people know how to do this?” I said, “There are few.” He said, “Could we keep it to ourselves?” He actually said that. That was funny. He’s used it to create millions of dollars of revenue and saved millions of dollars in challenges in one of the largest used pipe companies in the world located down in Houston using intrinsic validation. He said, “I intrinsically validate everybody, including those crusty old cowboys in West Texas who owned the pipelines.” We start there. The premise of using your mind constructively is you’re getting inspired ideas about how to more effectively serve. Serving is the foundation of life and as most people know who have served it is possibly the greatest gift that you could give yourself and another person. We live in our mind, we tolerate reality and that’s just not right. What happened? Take us to step three. The very first thing is I wrote this review, we learn how to connect with another human being, care enough about a human being, to connect. As we’re learning that process, we immediately bump into some unhealthy habits of thinking. It’s so fun, we’re not taking on the habit. We’re seeing how annoying it is and how it robs us and everyone else of our ability to connect with them. We’ve taken our life experiences and we’ve engraved them on our heart. We’re listening to people. 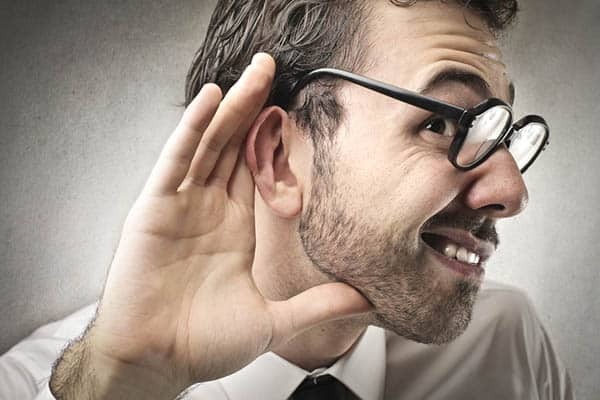 We’re hearing things nobody else is hearing. We’re seeing things nobody else is seeing. We’re asking questions nobody else dares to ask and we’re creating a connection which is magical in business. We’re choosing to stay present in the now. We’re going in through our mind to get an inspired idea. Here’s the deeper piece. Imagine waking in the morning and the very first thought on your mind is this. If there’s anyone I can serve, that means based on my unique life experiences. For our audience, think about some of the things that have happened in your life and ask yourself, “How have I been uniquely prepared to serve at this moment right now? If there’s anyone I can serve, put them on my path and I’ll serve them.” First of the five constructive ways of using your mind. I teach CEOs to sit at their desk for a few minutes of the morning and reflect on their executives, their rank and file, and just see if they don’t get an impression. Use this gift of vivid visualization, plugged into this planet to see if you don’t have something come to your mind. They will share something like, “I remember two days ago I saw somebody walking down the hall. I had this thought I needed to connect with them and I didn’t because I got distracted. Now I see that impression as an urgent assignment and I get out of my desk. I go down the hall, walk into that person’s office. I sit down and say, “The other day I had the impression that I needed to stop and see you. You’ve been on my heart. What’s happening?”” Mitch, I can’t begin to tell you the experiences people are having. What you’re doing, Dave, is you’re waking people up. I have to tell you that you’re basically helping people simply be in the moment every day to live in present time. From this place of present time, what’s amazing are all of the gifts that show up that we never would notice because we’re stuck in the past, we’re stuck in the future. I see what you’re doing as sharpening the awareness of us all by sharing this amazing information. I know for me when I’m in the present time, everything becomes a clue at that point. I look around the sign on a bus that might have a word on it that all of a sudden has meaning. If I’m aware and present enough, I can act on that. I wrote about this in the observer’s chair. I said that when we’re in the observer’s chair, that means we’re acting on our best behavior and in control of our thought processes, we get inspired by ideas that ignite our passion. We act on those inspired ideas as if they’re urgent assignments. We prove the validity of them and this knowing and being known, trusting and being trusted as a single greatest healer of self-esteem. Regardless of someone’s belief systems, power grid or the universe, whatever you want to call it, being plugged into the planet, just know that when you’re this desirous to be this aware, it is like we’re just tuned into a radio station and we start picking up things. When we act on those urgent assignments and they turn out to have validity and we have a rich experience with a person, it does something to our soul. I was promised in a dream I had about. They called the Chicago dream about taking these things out of our sack and putting them into our heart. I was told this, “Dave, your character was forged in the furnace of adversity. You know what pain feels like? Can you take it back?” I said, “No,” but that voice said, “You can choose to use it as a rich resource to better understand what somebody else is going through. If you will, there will finally be a purpose in the suffering, joy in your journey and much needed healing in your soul.” We’ve had a great life, haven’t we? I’ve never had a Rolex watch that filled the void in my soul, a car or a house or anything. You said trusting and being trusted is the single greatest element of self-esteem. What I’d add here is trusting yourself and being trusted is to me, the element that you talked about. Sometimes life hands us a gift and that gift is despair. When you’re granted the gift of despair and you feel that you’re at that moment, when you feel hopeless and helpless, it’s only then sometimes, at least it has been for me, that I would be willing to open up enough to allow what’s already there to show up and assist me. I see so much in that and what you just said. Vivid Visualization: Trusting and being trusted is the single greatest element of self-esteem. I look back at that loss. It was millions of dollars and those ten years, I was writing a film, directing a film, and editing a film or a TV commercial the same day, six days a week and there’s no exaggeration. It took a lot to pay that million dollars back. I’m married. I have four daughters, put seven kids through college. All that had to happen in that period of time. It was an enormously painful experience but I look back at it now and it’s the single greatest moment of my life. I know that everybody reading this blog has had these moments and most of them would agree with you that those are the single greatest moments of our life. For me, there had been, just like for everybody I know, I’m not different in this regard. We’ve all through this and it’s what we do with them that counts the most. At a young age, I’ve told this story before. I was considered a troubled teen. I became addicted to heroin at the age of sixteen. There was a moment in my life where I was fifteen seconds away from death and a force greater than myself stepped in and saved me. What happened at that moment is it changed the entire course of my life. Now, I might say that being addicted to heroin, going through eighteen months of rehab was possibly the greatest gift I ever received. If you use those moments, if you see them for what they are, if you can look up instead of looking down, that’s when the sun can shine and potentially show you the way. Mitch, you just took me to a dream and this is for you. In this dream, there was a man standing on a cliff ready to jump. He was dressed in black and I felt impressed to go out and talk to him. I just started to ask him questions and he warmed up. Finally, he turned and we walked away from the edge of the cliff. I woke up and thought, “What was that all about?” It was so vivid. I had this strong impression that we’re not too far away from a time when tens of thousands of people are going to be tested beyond their ability to withstand. The only person with enough credibility to walk out on to the ledge and help talk them back away from the ledge is somebody who has stood there themselves. For you, Mitch and for everybody reading, if you’ve had a dark night, my question is, what are you being prepared for? You’re going through testing so that your empathy will be so incredibly prepared to serve. Mitch, we know that from watching your life. You have taken that experience when you were sixteen and did amazing things in terms of service to people. Thank you for sharing that. I did not know that story about you. I used to be afraid to share it. I used to think it would shame me if I said this and it took me a year to tell Tony Robbins this story, and he had a beautiful reaction. He heard the story. He looked me in the eyes and he hugged me. That was all I needed at that point in time to know that I am safe, that I could tell that story and have people understand that for me it was the dark night of the soul. What ended up happening is I was about to inject myself with rat poison. I was sold a counterfeit drug. Just as I was about to put the needle in my arm, my phone rang. I picked up the phone and said, “Hello, hello, hello,” and meanwhile there was nothing but clicking on the other end of the line. When I put that phone down and I went to pick that needle up, that needle had gelled solid. Had that phone not rang, I would have put that needle in my arm and press the plunger. I would’ve been dead in fifteen seconds. I ask you, Dave, who was it at the end of that phone? Who made that call? Could it be someone who was saying, “If there’s any, what I can serve today? Put them on my path and I’ll serve them,” and they felt impressed to make a phone call. It can be that simple. That’s the power of being the person on the other end of the line for a Mitch when we’re using our mind constructively. We never quite know the full magnitude of what we’ve created when we make those phone calls that you told us. We’ve heard before that saying a pleasant hello to a stranger might potentially save their lives because that person was just about to commit suicide because no one likes them. Here you are with a big smile. You came over to this stranger, said hello and potentially change the course of his life. We don’t know the effect that we have on people sometimes and that’s why I love to make sure I’m in a place where I can help at any chance I get and I know, Dave, you are too. We flew up to Salt Lake the next day. We spent the day and I discovered he had a plan that night. What an honor to be in a moment. I wasn’t the only one he reached out, so what an honor to be in that space. I just got back from Israel. I was exhausted and so jet-lagged. I had to reset my phone and when I did, a whole bunch of emails came through that I had not seen. One was a desperate email from a client. I wrote this email to him, “Do these two things, let’s talk at 10:00 AM.” I set my phone down and the impression hit me, “Call him right now.” Before I could even say no, I was dialing his number and it was a lifeline. I want to say to the people reading this blog, heed this message. When you have that feeling, pick up the phone. You never know what impression you’re going to make. This is a holographic universe. We are connected completely. Every one of us is connected together. These feelings have meaning. My urge is to not ignore them. They could save a life. Get rid of the self-sabotaging internal dialogue that would talk you out of doing that, “They don’t need me, who am I?” We’ve got to shut that dialogue off so we can be more sensitive to those moments. I learned a lesson many years ago from a very smart man. He told me that when faced with the situation, your very first decision might be the very best one. That might run counter to those people who feel like it’s best to weigh all circumstances and make a decision from a careful calculation. A gut feeling first decision can sometimes be the very best one. I take that to heart. When I walk by a person and I have that feeling, I act on it. I’ll tell you one quick story. I know we’re getting completely off the topic, but this is so much fun. 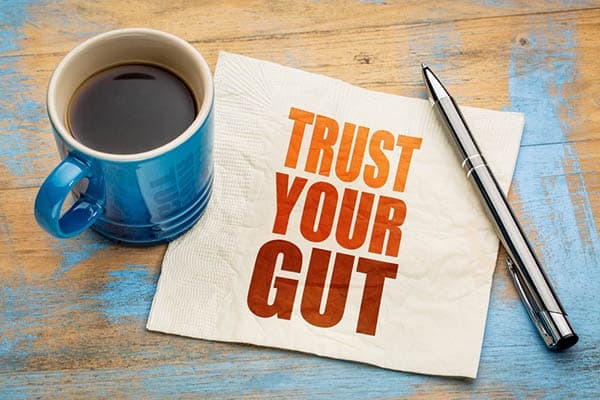 Vivid Visualization: A gut feeling first decision can sometimes be the very best one. I was in a restaurant some years ago and I was with a small group of people, three or four people. We were ordering food and we were all busy chatting and getting back in touch with each other. We’d been apart for some time and we were talking and talking. The waiter comes over and has basically taken out all of our orders and bringing the food. I looked up and looked into this woman’s eyes and all of a sudden, I got this feeling like it was the depths of despair kind of a feeling. I’m immersed in this conversation, but I cannot let go of that feeling. That moment when I looked into those sad, soulful eyes. I knew I wouldn’t have time to talk to her and it was probably not appropriate. You have all these thoughts about what would happen if I’m completely wrong. I decided instead to simply give her a huge tip. I filled out the credit card form and then I put a $50 bill on top. I walked over to her and said, “Thank you very much. I really enjoyed the service,” and I started to walk out. She came out crying and told me the story of how she was about to lose her apartment if she couldn’t come up with enough money tonight to pay the rent and because of that tip, she was able to save her apartment with her young child in it for that particular month. I started to cry and I hugged her. I said, “You’re going to make it and you’re going to be great.” I never forget that moment of having that feeling and responding. I’m telling you the story, Dave, because I know you would have done the same thing. Didn’t that feel so alive, so connected to something bigger than yourself? That’s what this is all about. Could you imagine if we could all live in this space? If we were in this space with our employees, our partners, our spouses, our children, we chose to live this way. Can you imagine what’s possible? I’m an optimist. I believe we’re getting there. I think the time is coming when we are and I’m here to welcome it. Maybe we can help them, Dave. I know that you have a free gift for our audience. Would you share what that is please? We’ll talk about inspiration. Go to HabitFinder.com/Mitch and you could take the Habit Finder profile for free. We’re going to give you the entire Habit Finder report, all 40 pages of it. You’ll be able to dive deep into your habits of thinking. Right underneath the first video that I do there’s a little link on it that says free consultation. Everybody from this podcast who clicks on HabitFinder.com/Mitch, who takes that assessment can have a 30-minute consultation with one of our Habit Finder consultants. Their mission is going to better help you understand the relationship between the thought processes and assess where you are, and what you want to do with your life. That’s something we’re doing for your audience. I have a question for you. I ask this to every of everyone who’s on my show and I think it helps us understand even more about who we just spent our time together with. Who, in all of space and time, would you like to have one hour to enjoy a walk in the park, a quick lunch or an intense conversation with? It’s based on my experience in Israel. I was there at the Golan Heights before the rocket attacks started. I would love to have an hour lunch with Prime Minister Netanyahu. I would like to know how he got the evidence of it, but I’d like to hear his conviction, his patriotism, his desire for the independence of the Israeli people and his willingness to make tough decisions in the light of that kind of aggression. I would love to just hear his heart. What a fantastic suggestion and it raises so many other ideas and topics to talk about. I believe right now that there are two sides fighting in many ways for this very same thing. I think both sides simply want a place to live in peace. It’s a matter of protecting property and defending your people, etc. Ultimately, if we ever can get to the point of simply realizing we all want the same thing, it potentially would be the bridge that would get us there. It’s a great choice, Dave. Thank you so much for mentioning that. I just mentioned the premise of the book, The Greatest Salesman in the World, turning it into a movie is to have a Christian, a Jew and an Arab in deep friendship, overcoming their differences in commerce as an example of what is possible. That’s the underlying theme of the entire script for The Greatest Salesman in the World. I’d like to hear that piece from Netanyahu because that’s what I want to craft in the script. I absolutely cannot wait to see what you create because I know it’s going to be amazing. I have the grand finale question for you. The change the world question. What is it that you were doing or would like to do that truly has the potential to literally change the world? It’s to provide an instrument that people can have access to, affordably, to raise their awareness so that they can start to overcome their self-sabotaging internal dialogues. I often say, “If I said half the things to you, speaking to your audience, that you allow your habits of thinking to say to you, could we still be friends?” Our greatest enemy is not out there on the world. It’s our own internal dialogue. Helping people become aware of that so they can experience greater levels of freedom in their life. I think that’s a world changer. This has been the most fun I’ve had in an interview in a long time. I thoroughly enjoyed our conversation and I truly hope this is the beginning of a very long-term friendship. Ditto from here, Mitch. Thank you. Dave, I absolutely can’t wait until the next time we speak. Thank you again for being on the show and we will talk again soon.